This entry was posted in studio on December 1, 2010 by Jennie. I sure love your work. (I have a mug, thank you very much.) Am I right that you paint first, then carve around the color? 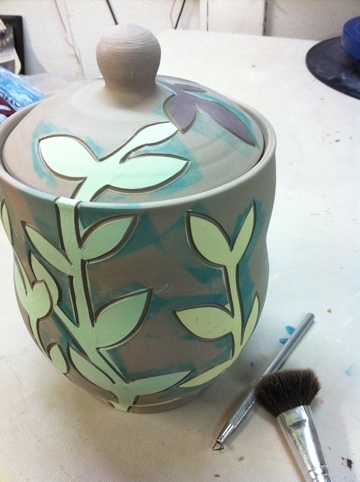 Yep, three coats of underglaze or colored slip then I use a small steel loop tool to carve the leather hard clay. I buy the loop tools by the dozen, as I wear through them quickly.